On the most recent Oakland Urban Paths walk in Old Oakland and West Oakland, the subject of "how do you find out what's going on in Oakland?" came up while we were walking. The group had a bunch of responses, because there are a lot of different ways to find out about stuff. Some sources try to list everything going on in Oakland or the East Bay, while others are shorter lists that try to capture an interesting selection. The upcoming Oakland events (which you can get to easily at any time by clicking on the the "events" button at the top of each page) is a list of things that's interesting to me or I've been told about, so it's somewhere in the middle. Here are the sources I know about, sorted roughly from "all inclusive" to "most selective". Visit Oakland - The Oakland Visitor's Bureau maintains the most comprehensive list of things to do in Oakland, both ongoing activities and specially schedule ones. 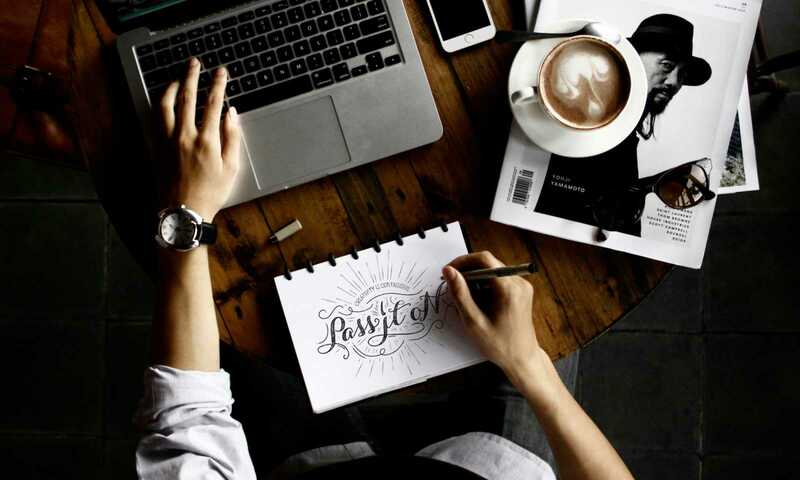 It's such a huge list that it can be a little daunting, but fortunately you can narrow your list by date or category. East Bay Express - The East Bay Express maintains a long list of events all over the East Bay. You can narrow your search by date, category or neighborhood. Fun¢heapSF - Johnny's Guide to San Francisco for Cheapskates maintains a large list for the whole Bay Area, but it's restricted by one important criteria: cost; the event has to be either free or cheap. And while there's not a category just for Oakland, there is one for East Bay events. 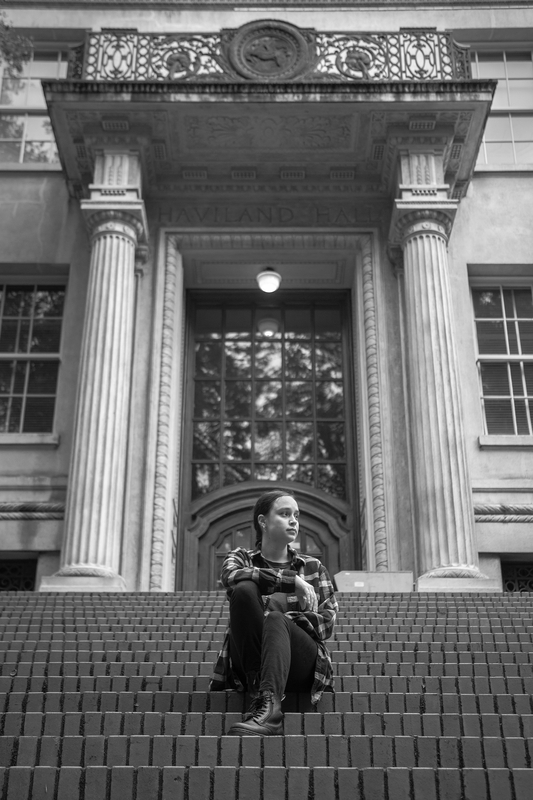 Oakland North - Oakland North is a project of the UC Berkeley Graduate School of Journalism. Their This Weekend in Oakland posts list a variety of upcoming events in Oakland. The 'staff' of the paper changes as students move through the journalism program, so the list has a slightly different feel depending on who compiled it. Unfortunately there's no single link (that I can find) to get the most recent events post. Oakland Local - Hyper-local news source Oakland Local has a list similar to Oakland North's. I previously cross-posted my upcoming Oakland events to Oakland Local, and now it seems that different people compile the list, so it also has a different feel depending on who compiled it. 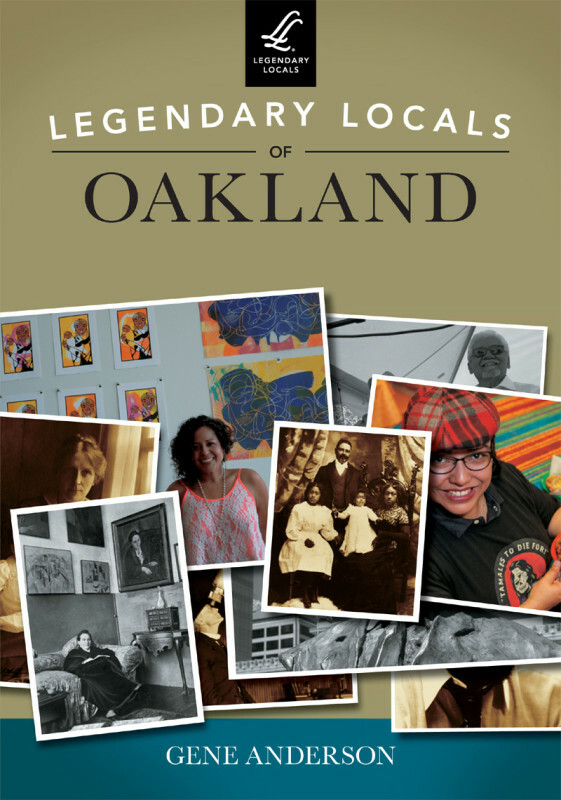 Our Oakland - my list of upcoming Oakland events. It's a combination of things that interest me plus events other people let me know about. So it tends to be slanted towards my interests: history, food, beer, bicycling, etc. Jean Quan's Newsletter - Regardless of how you feel about her politics, someone in the mayor's office puts together a great newsletter of things to do in Oakland. The only downside is that sometimes it comes out too late—some of the events may have already happened or be happening later that day, too late to plan for. Oakland's Own: Don't Miss of the Week - An Oakland blog with a selection of things to do in Oakland. 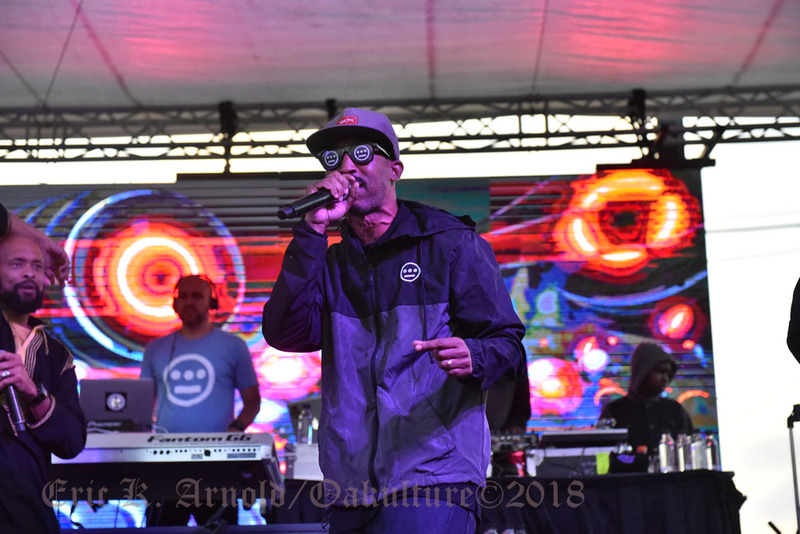 EBX Culture Spy Blog - In addition to the lengthy list noted above, the East bay Express also has the Culture Spy Blog with the shortest list around: Weekender: This Weekend's Top Five Events. Spotted outside K's office door this morning. Friday was the annual Park(ing) Day, where people all over the world take over parking spots and turn them into temporary parklets, giving over a little of the streets to the enjoyment of people instead of just another parking spot. Because of work I got a late start checking out the parklets, but I managed to visit most of the 10 around Oakland. Two of them are more permanent parklets outside of Farley's East and Manifesto Bikes, so they have a definite advantage in getting set up. But I was impressed with the temporary parklets I saw, especially the one outside the main Oakland Public Library. They had lots of seating, plants, free books for kids and cheap books for sale, and they had even laid down sod! What was your favorite parklet this year? Brewmaster Dan Del Grande of Bison Organic Beer; Chef Kim Alter of Haven; Karen Rogers, Founder of Sprouts and the three lucky scholarship winners! On August 25th, Berkeley-based Bison Organic Beer and Eat Boston co-hosted the first-ever San Francisco Bacon & Beer Festival. 25 craft breweries and 25 Bay Area restaurants came together for the event, which benefited local slow food charity, Sprouts Cooking Club. The event raised $9,102 for Sprouts Cooking Club. 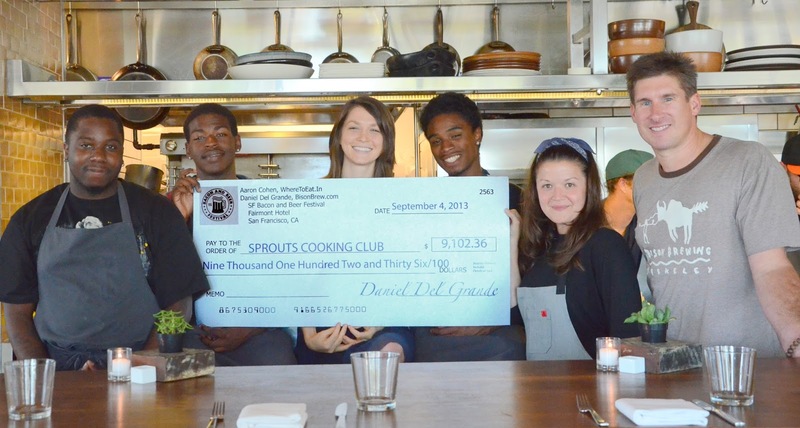 Sprouts is using the money to put three students through their Chef-in-Training program—a culinary-training program that provides disadvantaged youth the opportunity to turn their lives around and secure a job in the restaurant industry by learning essential cooking skills under the tutelage of some of the best chefs in the Bay Area. "In my opinion, most existing beer festivals don't serve the best interest of the charities they are supposed to be supporting," said Dan Del Grande, Bison's owner and brewmaster. "The amount of money raised is usually small and, often times, festival attendees don't even know which charities are benefiting. My goal with the Bacon & Beer Festival was to be as transparent as possible—I wanted people to know who they were supporting and where their hard-earned money went." Bison is currently raising money for another philanthropic initiative called The Beer Wagon—a 501(c)3 pending beverage truck that will donate 100% of its profits to like-minded local charities, like Sprouts. 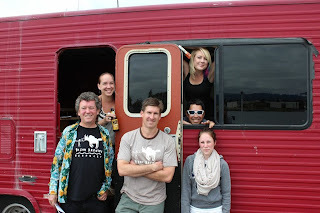 To learn more about The Beer Wagon and how you can donate to the cause, visit Indiegogo.com. There are great perks available at various donation levels. Aton going on. Art openings, Park(ing) Day, Rebuilding Together Oakland's Oak Barrel Bash. the Oakland Music Festival, the annual Creek to Bay Day cleanup and more! A special thank-you to Robert Perricone and Fran Estrada for the use of their photos. For a variety of reasons, OUP was short-handed for Saturday's walk, and I've found it difficult to lead a walk and take pictures of it at the same time, so I'm very grateful to them for the use of some of their photos. These days it's easy to think of Old Oakland and West Oakland as separate areas of Oakland because of the freeways, but in the past they were connected into one continuous neighborhood. Saturday about 35 people and two dogs joined Oakland Urban Paths for a walk exploring these areas. We started the walk in front of La Borinqueña Mex-icatessen, where Tina "Tamale" Ramos told us about some of the changes in the area. Tina is a 3rd generation Oaklander and 3rd generation running a business in Oakland, so she and her family have seen a lot of the changes over the years. Her mom, "Mama Tamale", is retired from running the business, but still comes in on Saturdays and for special events, to give tamale advice and talk about the old days. In front of Tina's tamale shop is a marker for the 10,000 Steps Project. It's an art project highlighting the historic parks of downtown Oakland. We passed by a number of other markers on the walk, including ones at Lafayette Square Park, the Pardee Home, and Jefferson Square Park. There are 37 markers total, and more than half of them have an associated audio segment, including interview clips with Tina and her mother. We headed up to Lafayette Square Park, which was the original location of the Chabot Observatory. It was a gift of Anthony Chabot, who is probably best known as the founder of the water company that eventually became EBMUD. The observatory was in downtown Oakland from 1883 until 1915, when increasing light pollution from the growing city required a move to the hills. A short walk from the park took us to the Pardee Home Museum. It was the home of Enoch Pardee, who was mayor of Oakland from 1876–1878, and later the home of his son, George Pardee, who was mayor of Oakland and later governor of California. Besides preserving the historic house, it also serves as a museum. George and Helen Pardee's daughters, Madeline and Helen, lived in the house their entire lives, changing very little over the years, so it is well-preserved. George Pardee was also involved in the creation of EBMUD and somewhat indirectly the creation of the East Bay Regional Park District. Across the street is Preservation Park. There are 16 historic buildings there, but 11 were moved from elsewhere to save them from the wrecking ball when the freeways were built. The park is now run by a private company and houses offices for different non-profits as well as a small restaurant. Unfortunately there was an event so the park was closed, preventing us from getting a closer look at the homes and at the Latham-Ducel fountain in the middle of the park. Around the corner from Preservation Park is the First Unitarian Church. The lovely brick structure was damaged in the 1906 earthquake and again in the 1989 Loma Prieta earthquake. The church was started when Presbyterian pastor Laurentine Hamilton was charged with heresy for his teachings. He left the Presbyterian church, and much of the congregation went with him. Our next stop was further away, on the other side of I-980. Blocks and blocks of homes and businesses were destroyed for the construction of the freeway, but some of the homes were saved and moved to Preservation Park. A block or so south of our route was the original location of Oakland High School, but it was gone long before the freeways came through. We eventually came to de Fremery Park. The park is a hub of West Oakland, with a recreation center, picnic tables, tennis courts, and a skateboard park. It hosts a variety of events, including the annual Black Cowboy Parade, which has been around almost 40 years. Even more years ago than that, the Black Panther Party held rallies and food giveaways at the park. But originally it was the grounds of the de Fremery family house known as "The Grove". James and Virginie de Fremery were a wealthy couple and had numerous descendants in Oakland. But what is less well-known is that Viginie was the child of a Dutch merchant and a former slave he purchased then later married. We discussed gentrification and the broader sweep of West Oakland's history. Although there were exceptions like William Shorey, the largest number of African Americans came to Oakland during WWI and WWII. Some had found work as Pullman Porters, and Oakland was the end of the line for the transcontinental railroad. Many settled in West Oakland, not necessarily because they wanted to, but housing covenants as well as unspoken rules made it so West Oakland was the only place they could live. From there, we walked past the former site of the Miller home. Keeping with our earlier utilities theme, Albert Miller and his son C.O.G. Miller were involved in the creation of Pacific Gas & Electric. There were questions about the food mill across the street. Although there are no signs, it's still an active business. It began back in 1915 as the Pacific Coast Shredded Wheat Company; now it produces organic rice flour, crisp rice, and corn flakes, most of which goes to Japan. To the west we came to the Cypress Freeway Memorial Park. More recent arrivals to Oakland may not know that where Mandela Parkway is now was originally the location of the Cypress Structure which collapsed in the 1989 earthquake. The park is a memorial to those who died, and features a sculpture recalling the twisted wreckage of the freeway, the dust rising from the debris, and the ladders that people in the neighborhood brought to help reach the victims. There is also a mural called "15 seconds" which is a trace of the seismograph of the main temblor of the earthquake. Unfortunately part of it has been damaged and painted over. We headed down Mandela to 7th Street. We didn't have time to walk there, but I pointed out where Esther's Orbit Room and other music clubs in West Oakland made up what was once known as the "Harlem of the West". Noted jazz and blues musicians from all the U.S. came to Oakland to perform, and some even got their start here. We walked past The Crucible and talked about its art programs, as well as the Oakland Running Festival that passes through the area. Then it was down to Linden Street Brewery. The brewery itself is in a building that was originally cable manufacturing plant. But we were there to see the former location of the nearby Moore Dry Dock Company, which built ships including ferryboats for the Key System, as well as structural steel for projects like The Paramount Theatre, the High Street Bridge, and caissons for the Bay Bridge. Our return journey took us past Urban Legend Cellars, one of Oakland's wineries. Turns out one of the people on the walk works for a winery in Alameda [ sorry, don't remember name ]. Both of them are members of the East Bay Vinter's Alliance, which holds a number of fun wine events in Oakland and Alameda. Then it was through Jefferson Square Park and back to La Borinqueña. A number of us stayed for lunch and for a sneak peek of the new garden space behind the restaurant. It was featured the next day at the Viva Tamales! fundraising event. Thanks to Tina for her hospitality, special thanks to Robert Perricone and Fran Estrada for the photos, and thanks to everyone and everywoof that came out for the walk. October's walk will be on the second Saturday, October 12th, and will feature the new Bay Bridge Trail and pathway. Today was the first ever ¡Viva Tamales! 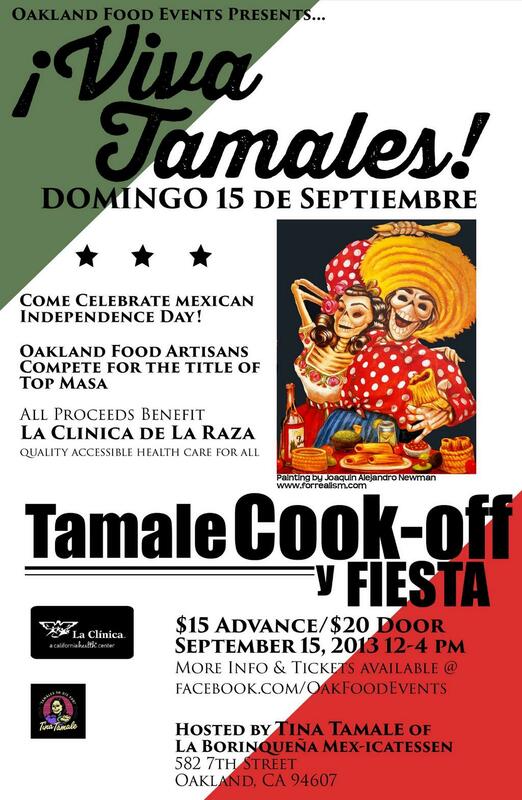 event, raising funds for the pregnancy education program at La Clinica de la Raza, which has been providing affordable healthcare in Oakland and the East Bay for over 40 years. Lots of people turned out and were having a great time. I only tasted the non-meat tamales, but everything I tried was great. I haven't heard the official winner, or how much was raised, but the event seemed like it was a huge success. Thanks to Tina Tamale for hosting the event, to all the competitors, to Tim and Chris for creating La Borinqueña's new garden and to everyone who came out to support the event. Yesterday after leading the Oakland Urban Paths walk in Old Oakland and West Oakland, I stopped by the south end of Lake Merritt to decompress, enjoy the view, and call K to let her know my ETA. It's such a different experience than before the Measure DD work was done. Instead of odd smells from the water and the pedestrian underpasses, with traffic zipping past a few feet away, I was treated to a peaceful scene of birds feeding and a variety of Oaklanders out enjoying the view. Each year since 1984, former president Jimmy Carter and his wife Rosalynn have given a week or more of their time to help Habitat for Humanity build and maintain affordable housing in the U.S. and around the world. I'm fortunate to have taken part in the 25th annual 2008 Carter Work Project (CWP) along the Gulf Coast, and I get to take part in this year's 30th annual CWP in the SF Bay Area. It's not just building new housing. Some people will be working to repair and do needed maintenance on homes in East Oakland, as part of Habitat's foreclosure-prevention strategy, while others will be doing community projects like deconstructing an abandoned building in William "Bill" Patterson Park in Brookfield Village. Even more projects will be going on in San Jose. I've been volunteering with Habitat since 1995, and I'll probably be helping lead a crew on one of the repair houses. But the CWP isn't just about building and repairing affordable housing, it's also a fundraiser to help with future projects. As part of my participation, I need to raise money, and that's where you come in. You can either donate through my FirstGiving.com page, or donate via check to Habitat for Humanity East Bay / Silicon Valley. Habitat is a 501(c)3 non-profit, and all contributions are tax-deductible as allowed by law. Thank you for your support! Read more about the Carter Work Project at Habitat for Humanity East Bay / Silicon Valley. This lovely flower is in a garden behind Doña Tomas on Telegraph.